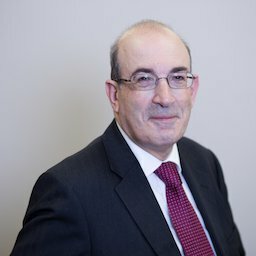 Mark is a highly experienced Insurance Litigation Solicitor who has held senior positions in private practice with leading insurance litigation firms and as head of the legal function of a leading UK liability insurer. Mark has dealt with employer’s liability, public liability, product liability and motor accident claims. Work for which he has been responsible includes two important decisions of the Court of Appeal, Murphy v Staples (UK) Ltd and Aktas v Adepta which dealt respectively with the defective service of the Claim Form, and the validity of bringing a second identical claim where the first had been struck out. Both cases dealt with important points of principle for insurers. Mark was also involved in representing an Interested Party in the Harold Shipman Inquiry. A further area of expertise is in relation to challenging insurers who refuse to indemnify a policyholder. Mark acted for Tony Coton, the goalkeeping coach of Manchester United, in his claim against Sunderland AFC concerning insurance cover for the injury which ended Tony’s playing career. When in private practice, Mark was mentioned as a leading insurance law practitioner in the Chambers & Partners Guide to the Legal Profession. Mark is a CEDR accredited mediator and a Registered Mediator of the Civil Mediation Council. He also sits on the committee of the Civil Litigation Section of the Law Society.